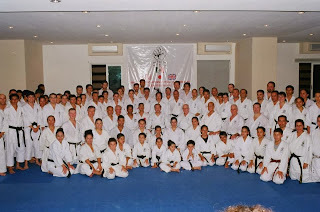 Seiwakai of Mexico hosted their 2nd Seiwakai International Training Seminar on November 8 - 10 in Guadalajara, Jalisco, Mexico. 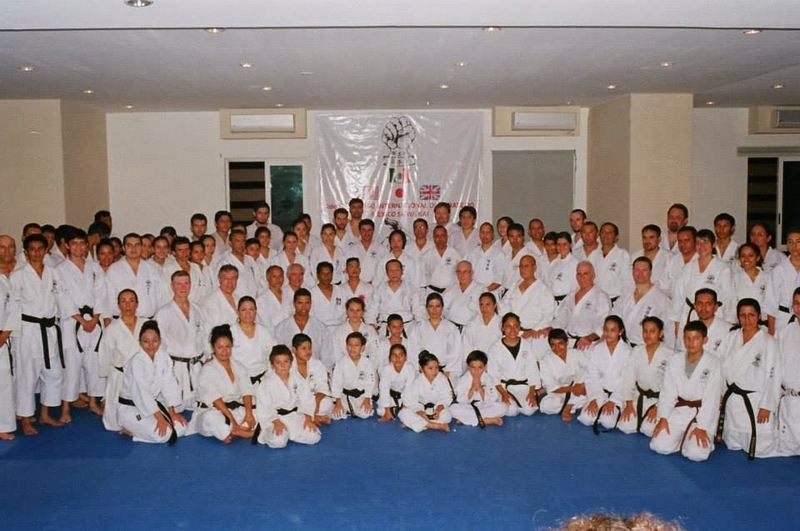 Sensei Eusubio Montes of Guadalajara was the local host and Shihan Antonio Madrid, President of Seiwakai - Mexico, was the country host. I had the pleasure of attending the 1st Seiwakai Mexico Seminar in November, 2010 in Morelia and was so inspired by the strong karate, the spirit, and the warm hospitality there was no way I would miss attending again. And, of course, this one lived up to everyone's expectations. 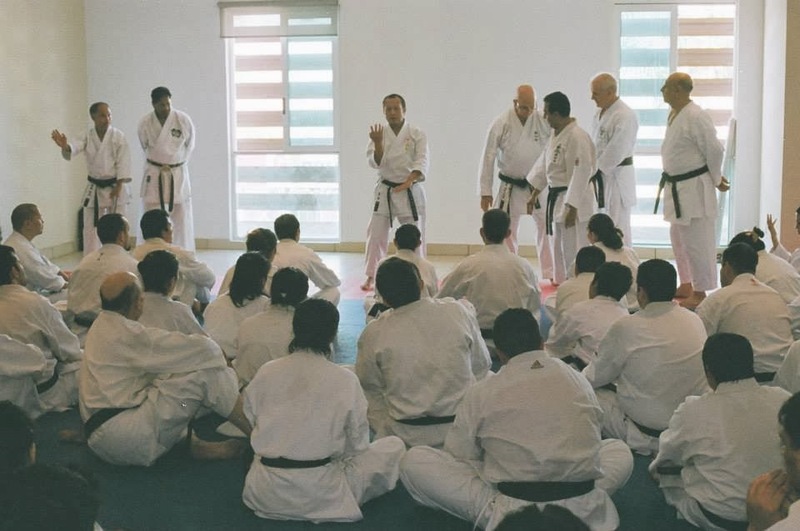 Seiichi Fujiwara Shihan, President and Head Instructor of Seiwakai was the lead instructor. 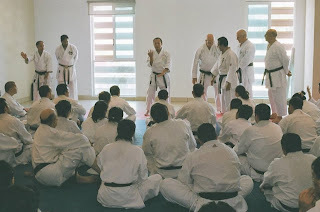 He was joined by Leo Lipinski Shihan, Vice-President and Head Instructor of Europe and Vassie Naidoo Shihan, President and Head Instructor of the USA. 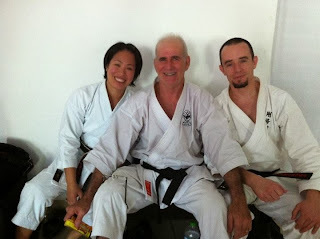 Tak Hamabata Shihan, Head Instructor of Goju-Ryu Eibukan USA was a guest instructor. Mexico, Canada, and the US were all well-represented. 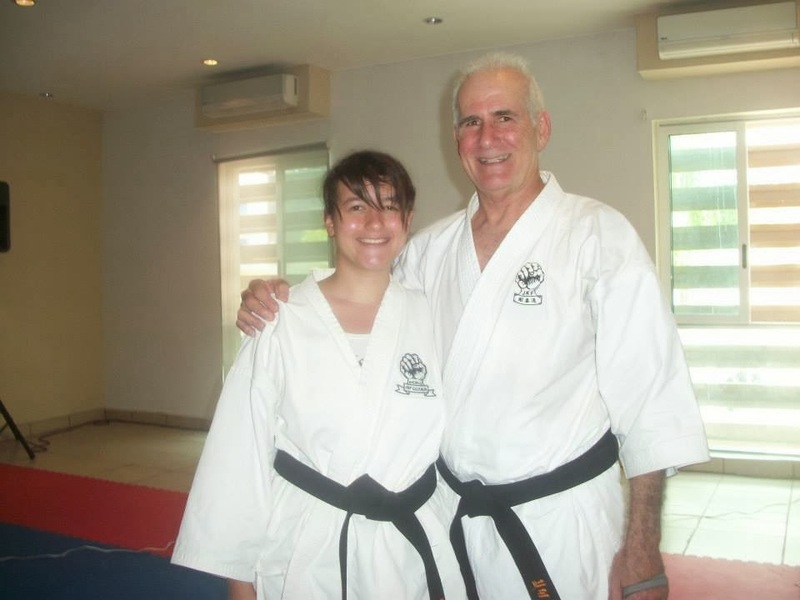 Each day consisted of training sessions of moving basics, kumite drills, and Goju-Ryu kata. Katas were further broken down brilliantly into effective application exercises. All training sessions were held at the Hotel, so everything was easy to get to. From some of the photos you can see the amount of sweat! As always, the time spent outside of training -- catching up with international friends, being taken care of by our generous hosts, and all the fun and laughter -- was almost as much the highlight as the training itself -- in accord with the spirit of GO-JU ... balance! 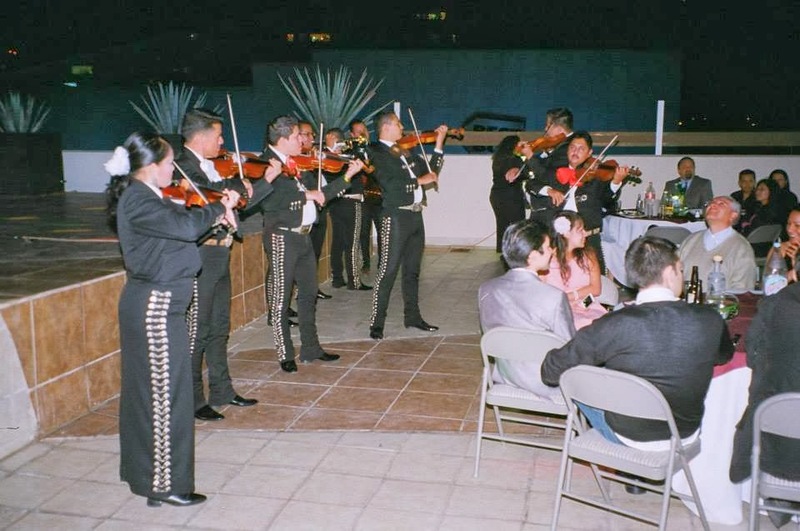 The Fiesta on Saturday night on the hotel roof deck was an event to remember. We had dinner, Jalisco beer and Tequila, a belly dancing troupe, which included one of the Guadalajara karateka, a fantastic mariachi band, and of course, karaoke! 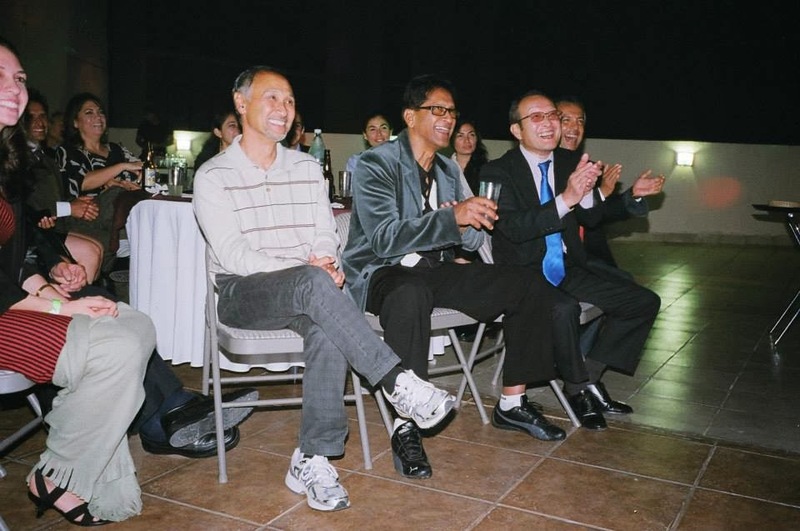 Shihan Antonio Madrid, President of Seiwakai Mexico, on Right. Johnpaul, doing some currency conversion calculations.